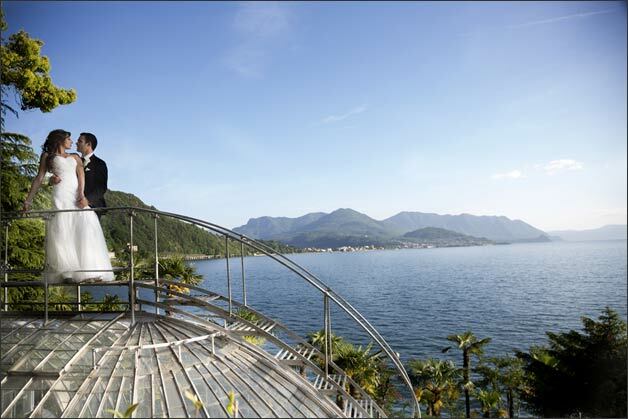 re you fascinated by wonderful Lake Maggiore? 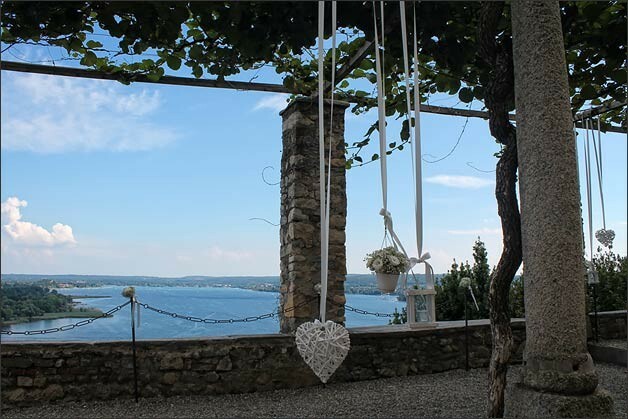 Are you looking for a special wedding destination for your special day where enjoying amazing views in intimate and relaxing atmosphere? We have a great proposal or you! 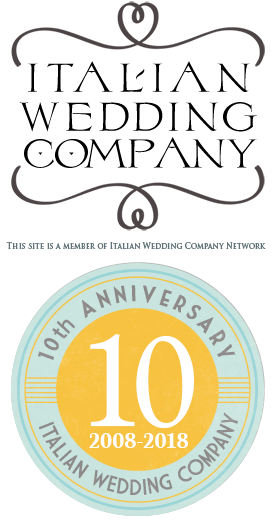 Today we’re going to introduce you three special venues located in the Lombardy side Of Lago Maggiore, the so called Costa Fiorita. 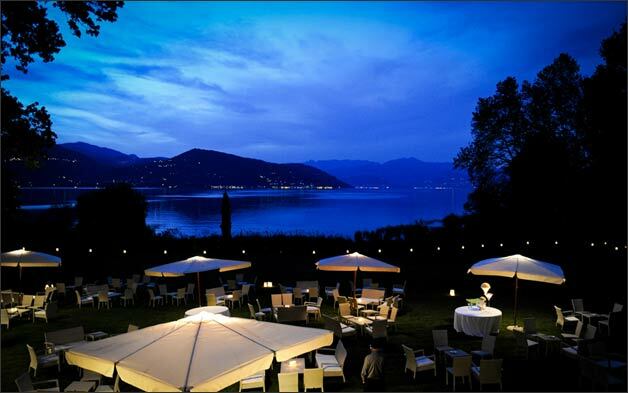 Lombardy shores of Lake Maggiore is located just in front of Piemonte shores where Stresa is located. Lombardy side starts from Sesto Calende town and leads up to Locarno, in Switzerland, for a total length of about 60Km. The lombardy shores is a destination of rare beauty with luxuriant green landscapes and their bright colours, but also with important historical monuments and buildings. Varese and Lombardy towns on Lago Maggiore are located on Western Lombardia. 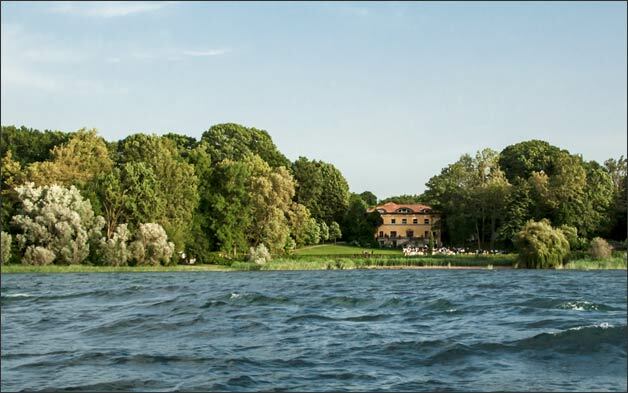 Varese town is located inside Flowers Regional Park and offers amazing natural itineraries to enjoy a fun staying. 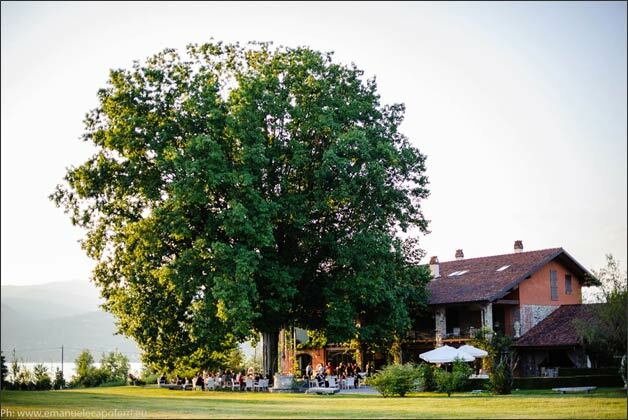 Sesto Calende, Angera, Santa Caterina del Sasso, Laveno, Luino and Maccagno are traditional villages located on Lombardy side of Lake Maggiore, each of them worthwhile a visit! 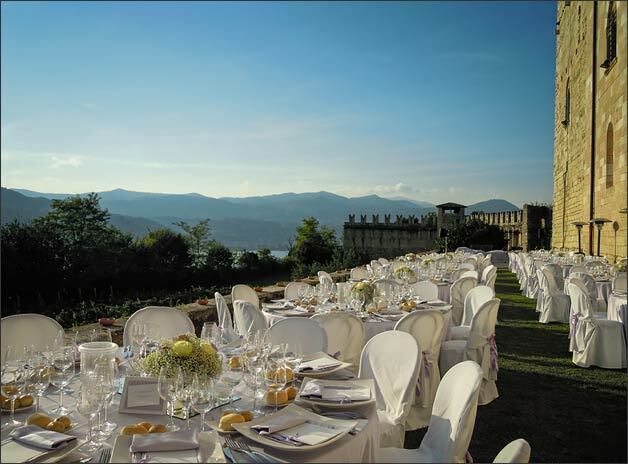 Among the historical heritage of this part of Lake Maggiore we can mention amazing Rocca di Angera. It is one of the most important and well preserved Italian Medieval evidence and Eremo of Santa Caterina del Sasso, an amazing overhanging monastery of XIV century. 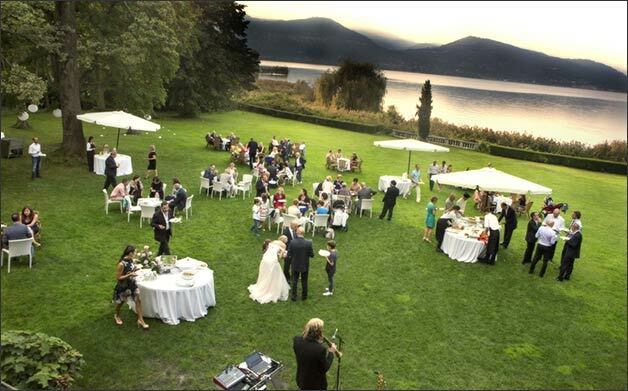 We are sure the Lombardy side of Lake Maggiore will offer you nice, relaxing vibes allowing you to enjoy your special day with your family and all your guests! You could have a great staying in beautiful and comfortable hotels very close to Milano Malpensa Airport and Milano City. 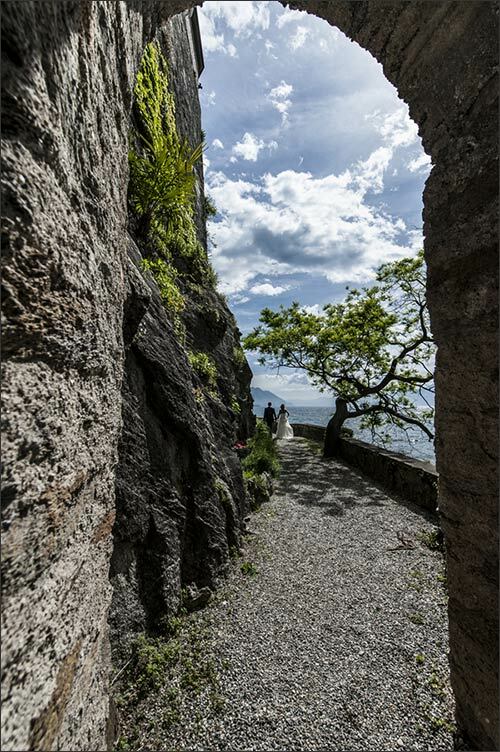 Rocca di Angera (Borromeo Rock of Angera) is the symbol of the town itself, overlooking Lake Maggiore from a calcareous rock which gently descends towards backcountry. From the other side of the rock, you can see Castle standing on top of a rocky and impressive overhang. 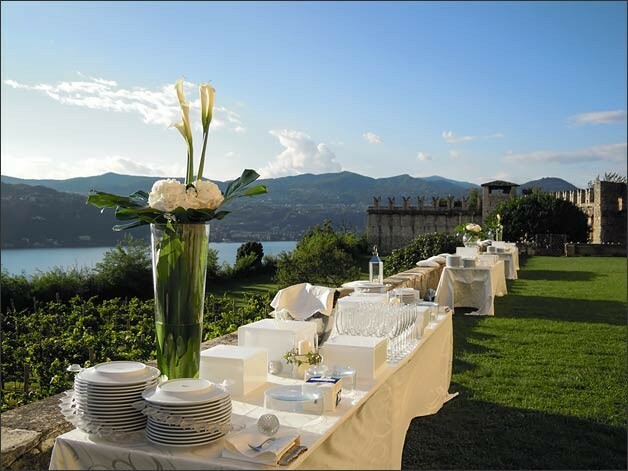 Rocca di Angera is located in a strategic position overlooking Southern part of Lake Maggiore. Visconti Family moved there, hailing from Verbania territory, up to 1449, when the Borromeo family took it over. Inside the Castle you can follow a fascinating path along its Historical Rooms, where you can admire a wonderful Maiolicas collection, and Doll and Toy Museum, the biggest and most complete in Europe. Amazing! we are sure will let you breathless! 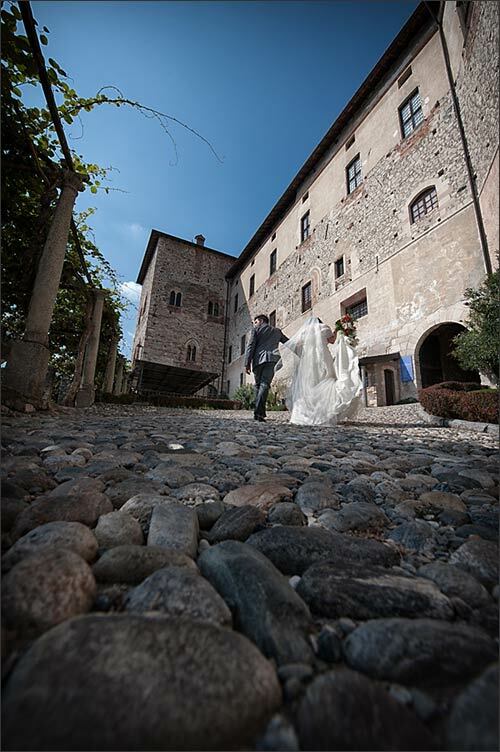 A unique and extraordinarily beautiful venue, Rocca di Angera can host your wedding reception with a wonderful Medieval flair. 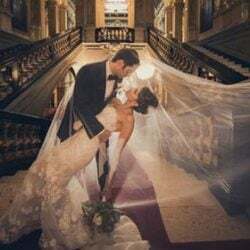 Its refined halls embellished with wonderful vaults, its wide courtyards and the wonderful panoramic terrace overlooking the Lake can all be the perfect frame for your wedding reception. 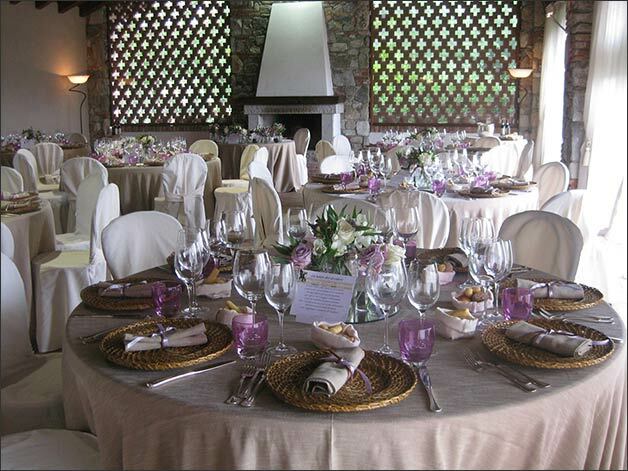 You and your guests will be seduced by a special and enchanted atmosphere and your wedding day will be unforgettable! 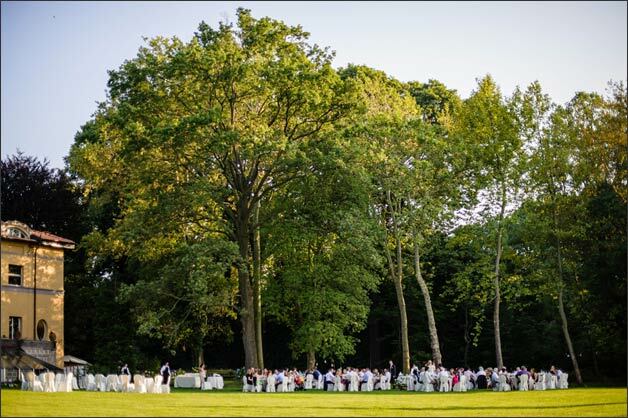 Outdoor areas and wonderful halls inside the castle are perfect for a wedding reception every time of the year. You can find a perfect set for each moment of your wedding reception, from your welcome aperitif to your evening dances. 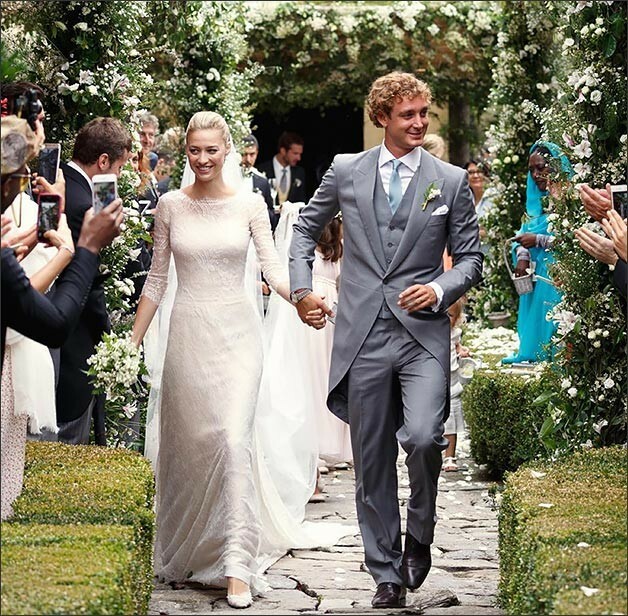 Rocca di Angera was the enchanting setting for Beatrice Borromeo and Pierre Casiraghi’s wedding reception last August… this Medieval Castle really is simply a dream! 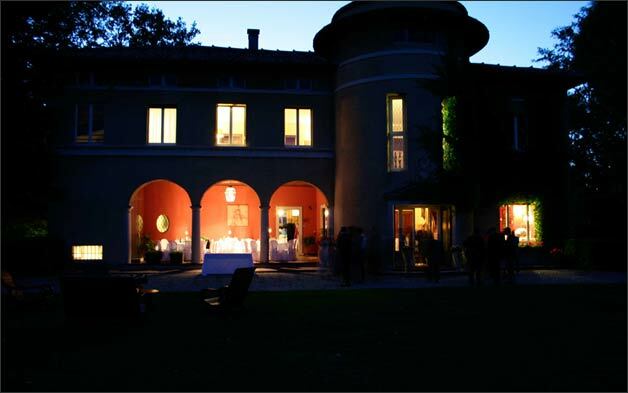 Villa Rocchetta is part of a huge country estate. It is located between Ispra and Ranco towns. It is located along the Lombardy side of Lake Maggiore and it can be quickly and easily reachable from Milano and Varese. It is also very close to the International Airport of Malpensa. Inside Villa Rocchetta you can admire a secular park. it is part of historical Natural Park of Quassa Gulf. Back in 1276 the Gulf was the set of famous Guazzera Battle between Visconti and Torriani for Milan territories dominion. 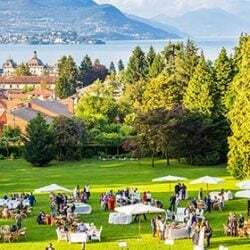 Villa Rocchetta was built around 1930 with the precise purpose to enhance the extraordinarily beautiful natural context of this location with breathtaking views on Lake Maggiore and Alps. 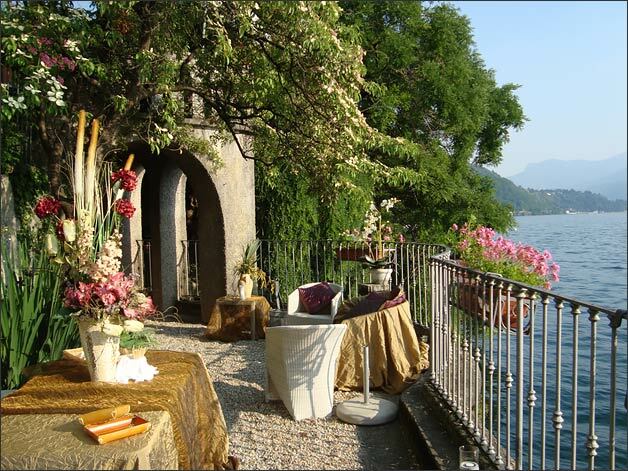 Villa Rocchetta lays on Lake Maggiore shores. 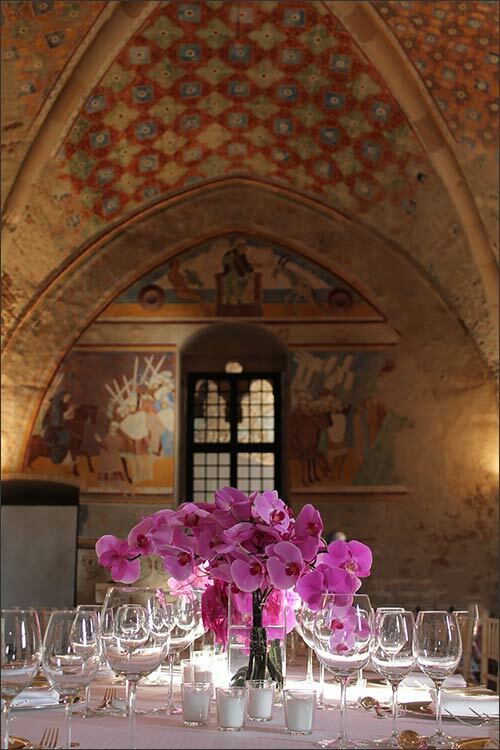 It is a unique and fascinating venue to host a wonderful wedding reception. You and your guests will enjoy this enchanting villa, with its big natural park and its comfortable and wide halls. They all face Lake Maggiore. 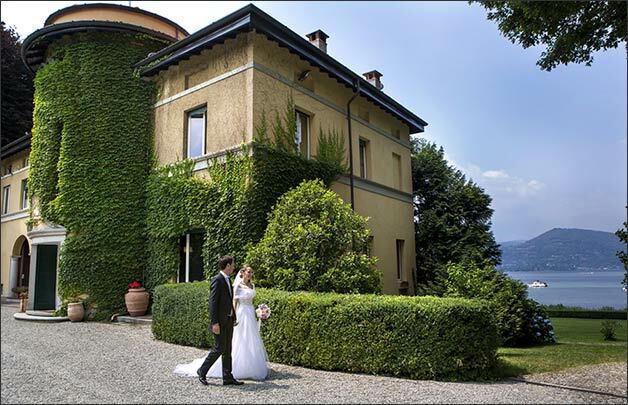 Villa Rocchetta has elegant halls embellished with precious paintings, carpets and furnitures for your wedding receptions in autumn and winter tines. 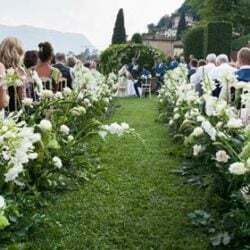 On summer you can decide to plan your wedding aperitif and dinner outdoor in the beautiful park, surprising your guests with an amazing view on Lake Maggiore..
You can even get a horses carriage service to enjoy the park boulevard and get the Villa surprising your guests. 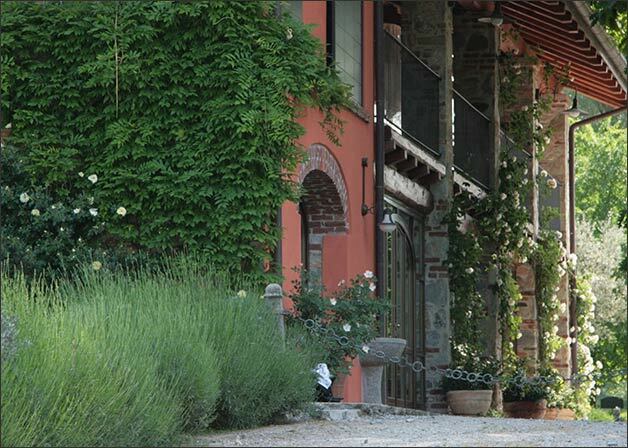 Tenuta La Quassa is located near Ispra village, along the Lombardy side of Lake Maggiore. It is one of the most wonderful venue of this area. It is nestle in a 55000mq wide park. 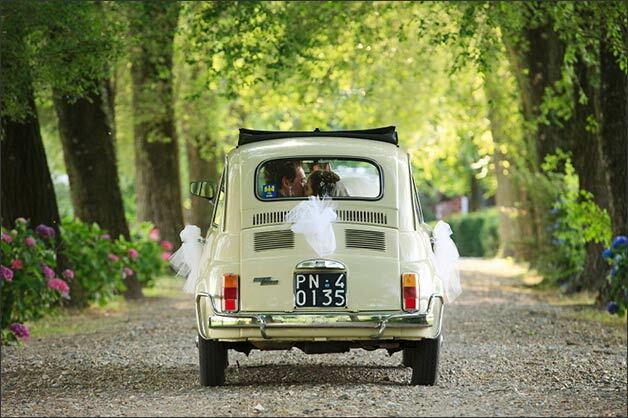 It offers an unforgettable frame and a touch of class for your wedding reception. La Quassa is a restored farmstead of 19th Century. It is sober and simple from an architectural point of view. It will seduce you and your guests with its elegant atmosphere. Do you like both lake and countryside atmospheres? 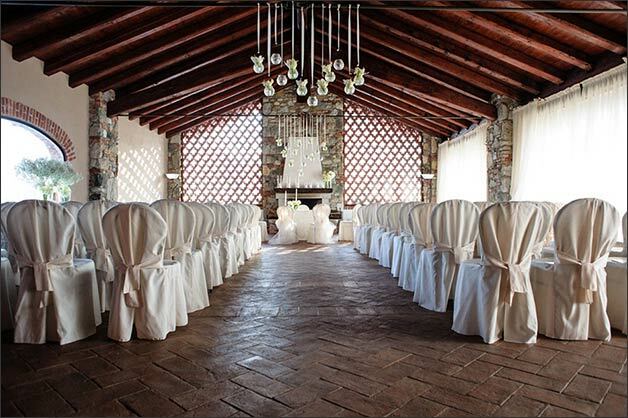 Tenuta La Quassa is the wedding venue for you! 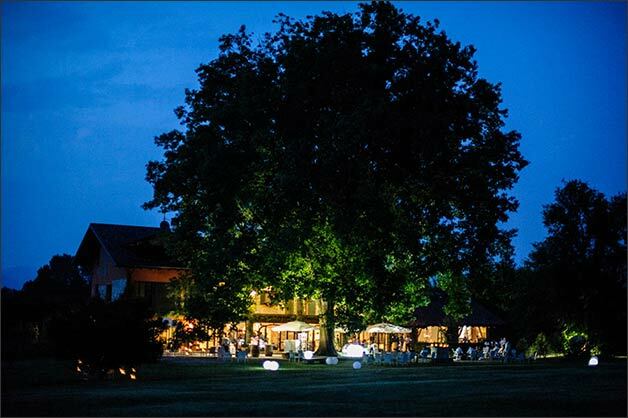 It has a wonderful ancient oak where you can plan your ceremony, aperitif and dinner. 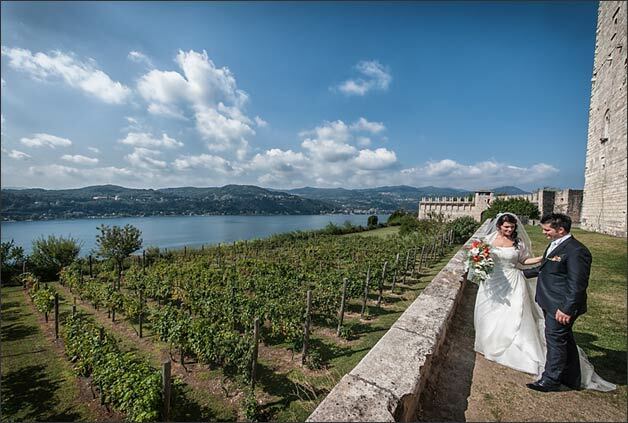 It has a priceless view, an incredibly beautiful rose garden and romantic corners for enchanting wedding photos!